The life of a responsible older brother of a hyperactive eleven year-old was practically a full time job by the time the VHS maelstrom was upon us. And growing up in a community, mostly divided between wealthy retirees & small-town denizens, there was little place for those with tastes outside the typical. And as there were many a time when our video rental binges would become not unlike a romanticized trip to a junkyard. ( filled to the seams with crap, yet host to a bevvy of hidden treasures) For every Suspiria, we’d find four or five Witchcraft‘s. And even at this point, I wasn’t one-hundred percent about this anime thing. It didn’t help when looking for titles that were dubbed for western audiences, the dearth of these led to some pretty interesting discoveries. Most notable in this sweepstakes run were the ones we found, carrying the logos of Celebrity Home Video’s Just For KIDS emblazoned on them. And these little hauls of fun came bearing images & characters that were familiar, but upon viewing them, they sure weren’t the icons I remembered them being. The first in this series of releases that had us doubling over was their version of the Captain Harlock origin feature, Arcadia Of My Youth(1982). Recut and dubbed, the film was repackaged as Vengeance Of The Space Pirate. Now as I had been accustomed to the tales of Harlock via friends & tapes of the tv show long ago, it was pretty clear kids were getting a huge dose of false advertising. (Not to mentin the kind of violence on the cover that would never fly in this day and age. Han Solo this! ) Missing roughly forty minutes of its epic running time, the film whisks by at a Cliff’s Notes clip, and features some oddball, yet competent (for its time) dubbing. If one can survive the stilted dialogue delivery, they may not be able to contain themselves as the newly liberated space cruiser Arcadia leaves a locked down Earth to a song only the worst Barry Manilow-lover would go nuts for. We’re on the verge of a crucial, emotionally fulfilling sequence, and all we get is theme music best fitting of a 2:30 in the morning Vegas show after a sixteen hour sucker’s streak at the tables. (If I could share this monstrosity with you via a video –Someone get on this. This pain must be shared!) Even as the cut is somewhat tolerable(albeit a little too literal at points), the film is missing so much of what makes ‘s film such a vital piece of Leiji Matsumoto history. All that was left post this initial viewing, was me in disbelief, and a very out of sorts little brother. Could’ve been worse…It could’ve been THIS. Which leads us to a tape I ran into at one of the local Blockbusters that grabbed my eyes with a mad fury unrivaled. That’s right. 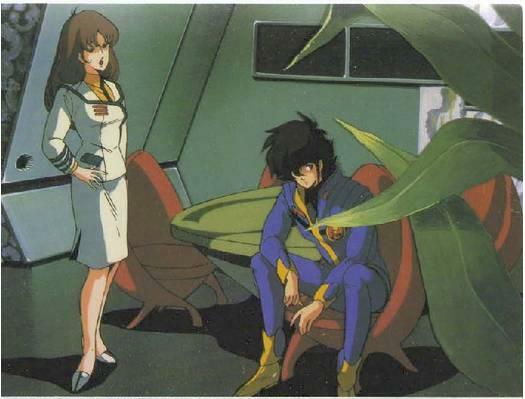 Celebrity also had the home video rights to the legendary Macross 1984: Ai Oboete Iimasuka? (Do You Remember Love? ), and really gave it the business. A chop-shop treatment at best, this not-Macross Macross is the anime equivalent to a victim of Dr. Herbert West; Mangled , bizarre, and ultimately only good at haunting the living. Not only is the film missing some crucial moments (including one very significant death scene – seriously, if you’re going to sell this to kids, it might be best to know what you’re selling. ), but it also features dubbing that is the very definition of….Awkward. Sound familiar? (I vaguely remember the same studio and actors being used in the dub for HK favorites such as the original Police Story. ) 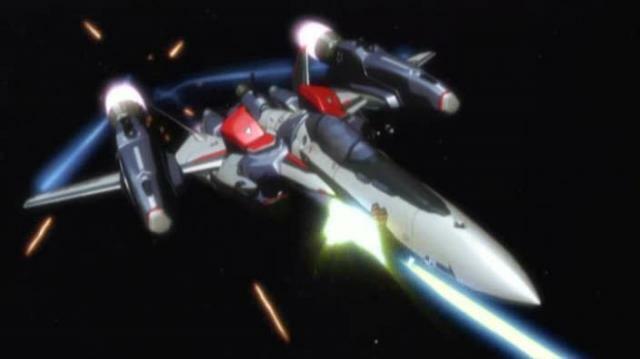 In short, it was nice to have a home version of the Macross feature, but to settle for such a painfully wasted opportunity. It’s something that still stings to this day. If only they had taken care of this situation long ago. C’est La vie. As a good guardian for those weekends while the mother unit was busy keeping us well fed and raised, we had our fair share of experiences such as these that kind of gave us a gauge from which to measure how video companies were treating something so regionally based. And even as the claws of anime love had yet to dig irrevocably into my being, there was a growing curiosity within me to continue to look into what was so attractive about it. And how was I to know that everything was soon to take on shapes never before witnessed when a little movie came over, and began playing in major metropolitan areas throughout the country. Being a kid in Theater, and up for the chance to check out something outside the ordinary, I was invited by classmates to catch this film in a new theater in Palm Springs that also served as the region’s art house location. Even as there had been some talk about the film’s impact that had steadily growing over the west, nothing could prepare me for the sheer visceral impact of Katsuhiro Otomo’s little movie , AKIRA. A film that truly requires no intro of any kind, this one viewing evoked feelings for the medium that had yet been experienced. And that is very much in the manner as films such as AKIRA must be digested as, an experience. Not being familiar with the incredible source material, it was something akin to allowing ones’ self to be absorbed into the chaotic world of these characters, and to drink in the dystopic fury of what must have been brewing deeply within many folks in Japan at the time. The film felt like a much needed purging of emotions in a rapturous package that helped illuminate my mind to the possibilities of manga art, and its animated extensions. Coming out of that theater, dizzy, and drunk with love for the film, it became something akin to what was referred by Professor Brian O’Blivion in Videodrome as “a new part of the brain”. And it is also possible that in those pre Subs Only Watching/Japanese studying days, that it was the sensational dub licensed by Streamline Pictures from Kodansha that helped seal the deal. Utilizing only a handful of familiar-sounding actors (These guys, anyone?) to play what is essentially an epic-sized cast was no mean feat. And even as a great deal of it is played for camp value, it at least was translated & performed well enough for many to accept it, and embrace the achievement that Otomo and company had brought to the world stage. Aside from being such a landmark piece of work, it became something of a prophecy for the relationship between us siblings. While both of us being well-versed in film as kids, few films would ever have the same kind of jarring effect that this one had, especially once Orion & Streamline brought the film to American VHS not too much later. And once this film came into our possession, it felt as if little was to remain the same for the both of us. How will they remember love? Many people look upon those who express love for characters as having “given up” or “retreated from reality.” While it’s true that they have turned their backs on their fellow flesh-and-blood humans, it is woefully inaccurate to suggest they have “given up” on romance and love. The spring 2008 season of anime has begun! What will I look at this season?